Figure 10.2 Bicycling became enormously popular in the late 19th century, particularly among women, for whom it offered a new — if sometimes provocative — independence. Mabel Williams in Ottawa, 1898. Modernity in Canada took many forms. It is nearly impossible to connect it to any one symbol or idea. The bicycle comes close for late 19th- century modernism because it was so completely without precedent, an expression of engineering and metallurgical skills, and — very literally — an expression of the power of the individual. As production costs fell and competition in the sector rose, unit prices came down far enough by the late 1890s to make the bicycle affordable to middle- and some working-class Canadians. The growing urban centres necessitated new means of getting around (when weather permitted) and delivering goods that depended less on horses and carts and more on individual mobility. Inveterate gamblers saw in bicycles an opportunity for competition and wagering. In the first three decades after Confederation, as Glen Norcliffe states, “Bicycles and tricycles presented men and (later, when they became safer) women with a highly visible opportunity to demonstrate that they were in the mainstream of modern life.” Mass-produced and consumer-oriented, aligned with fitness (and sometimes with temperance), and widely observed in urban settings, the bicycle was thoroughly modern, at least until the arrival of the automobile. Motorized transportation began its conquest of city streets shortly after streetcars had laid claim to much of the original downtown landscape. The movement — begun by the bicycle — from collective to individual transportation thus continued, helped along by steam-powered and, later, petroleum-powered engines. There is no doubt that the automobile constitutes one of the most powerful symbols of modernity in the 20th century, with its revolutionary technological sophistication, luxurious trappings, and — of course — speed, all of which would only advance further and further over the course of the next hundred years. The automobile was also modern in that its manufacture increasingly depended on managerial science and the refinements of the assembly line. As a consumer item, it cost less than a house, but more than almost anything else a Canadian family would ever purchase. The mechanisms for extending the reach of modern systems and values in Canada were numerous and subtle. Take the rural post office, for example. Historian Jack Little has described it as “traditionally … the centre of rural conviviality, but also serving as the main point of contact with the outside world.” The post office system across southern Canada enabled the relatively rapid movement of information from other parts of the country. Letters home from the cities allowed one generation to describe to another how their world was changing in material and intellectual ways. Reports sent back from the farming frontier in the West or from the goldfields of the Yukon stimulated latent wanderlust. Rural towns in economically less viable regions began to leech population. Demands were made for more modern services such as telephones (which begin to appear in homes in the 1880s) and electricity (the use of which expanded rapidly after 1906). The telephone itself accelerated this process of disseminating modern values and ideas. Rural electrification and telephone service was vastly more expensive than the same process in concentrated urban centres, an irrefutable fact that created different rates of modernization of technologies, lives, and — inevitably — values. The idea of being so-called “old-fashioned” only makes sense when something else is considered “new-fashioned.” Thus, the horse-and-buggy, wood stove, Sunday-suit-wearing folks back East in the Gaspé or the Petitcodiac, in the outports and across the whole of PEI, were decidedly old-fashioned. The links between modernity and energy sources are explored by York University historian, Sean Kheraj. Little also points out how expanding and increasingly sophisticated systems of banking and communication dissolved small-town economies. This could be seen on Vancouver Island and throughout the Maritimes, where wealthy families that had once dominated their local communities and provided some degree of beneficent philanthropy began investing their money elsewhere. The CPR, the steel companies, and the farm machinery giants were all attractive options with better returns and fewer headaches than reinvesting in local industry. The railway could deliver goods from Toronto to any hamlet along a rail line. Why try, then, to produce redundant goods in a village? The effect was to make economically backward (non-modern) towns more backward still, while advancing the modern age in privileged centres of production and innovation. In short, it wasn’t the case necessarily that non-modern settlements and whole regions were choosing to lag behind in the march to modernity. There were structures at work that determined the reach of modern life. At the same time, there were opponents to modernization in rural Canada and urban Canada as well, as is shown in Section 10.3. Consumerism, as discussed in Section 10.4, was a powerful antidote to those forces. After the war, Canadians retreated from much of the emphasis on hyper-efficiency that had characterized the war years, but a widespread belief in the possibilities and benefits of control remained. This was reflected in a variety of ways. Partly, it meant managing economic and social life through the welfare state, and a host of new programs came into place, including the Veterans Charter, family allowances (1944), a new old-age pension (1951), and hospital insurance (1957). Figure 10.3 Sent to Earth from a dying planet. Growing levels of literacy in the interwar years — a result of growth in public and mandatory education and the extension of high school education to a larger segment of the adolescent-population–fed demand for newspapers, serious literature, pulp fiction, magazines, and comic books. The last of these appeared in the late 1930s and very quickly settled into a recognizable format and structure. Comic strips emerged earlier in the century, and European publishers were ahead of North Americans in producing the sequentially panelled and coloured storylines that would become defining elements of the comic book. But it is the appearance in 1938 of Action Comics and the debut of Superman that signals a watershed in this evolution. Superman was the creation of Joe Shuster (1914-92), a Canadian whose parents had emigrated from the Netherlands and the Ukraine, and his American cousin Jerry Siegel (1914-96). Set primarily in the fictional city of Metropolis — based on Toronto, where Shuster grew up — and at the Daily Planet newspaper — modelled on Toronto’s Daily Star, where Shuster worked, Action Comics and its Kryptonian protagonist drew on Canadian experiences and values, some of which were rooted in a rural past while others arose from a modern urban present. The alien refugee arrives in rural North America, a generation after the first great waves of settlement spread out to colonize the West, and is raised in the morally upstanding and old-fashioned but still recognizable grain belt of the plains. Grounded in seemingly indestructible values, he moves to the big city where there is crime to fight — which he does as an independent actor and not, significantly, as a member of a police force. The famous trappings of the Superman story — a rocket-ship voyage to earth, a planet named for a recently discovered gas, a visual spectrum that includes X-rays (another recent scientific breakthrough), and an ability “to leap tall buildings in a single bound” — just as city skylines were starting to sprout upward to as much as 30 stories — speak to the modern technological world in which Shuster and Siegel lived. 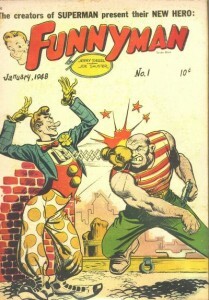 Figure 10.4 Vastly less successful and memorable than Superman was Shuster and Siegel’s late 1940s attempt to put the comic back into comic book. Superman can act also as a metaphorical bridge between the modernity of the interwar years and the high modernity of the post-1939 period. Superman is famously vulnerable to two things: magic and kryptonite. As Dummitt reveals in Section 9.5, interest in spiritualism, and offshoots like magic and the occult, were at a high water mark in the interwar years, and their influence reached the highest public office in Canada. Pulp novels and radio programs in the 1920s and 1930s featured sword-and-sorcery storylines and popular fictional characters with magic-derived abilities, like the Shadow. “Magic” was as contemporary to Shuster and Superman as were skyscrapers and rockets. So, too, was radiation. X-rays might be helpful but they were known to be harmful as well. Radium — like krypton gas and X-rays — had been discovered in the 1890s; by the 1930s, Canada was one of the world’s two leading producers of uranium. What is sometimes called big science would emerge in the course of World War II in the form of the Manhattan Project. 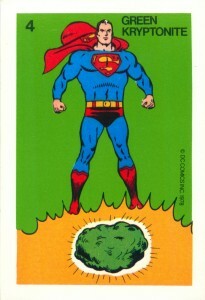 Thereafter and throughout the Cold War, public understandings of radiation poisoning were heightened and kryptonite (a fictional radioactive substance derived from Superman’s home planet) became a more plausible — and fearsome — vulnerability than, say, Mandrake the Magician (who was, incidentally and allegedly, based on Leon Mandrake, a Canadian performer). 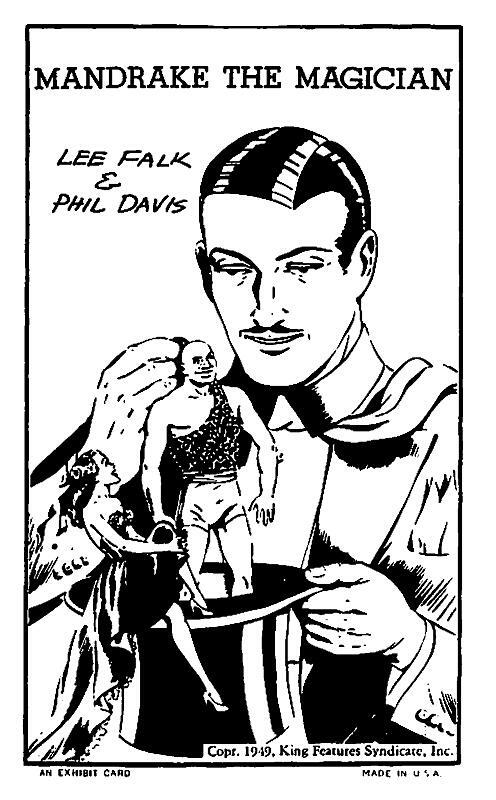 Figure 10.5 New Westminsterite Leon Mandrake began his career in stage magic in the 1920s. The comic strips he inspired would spin off into radio series, books, and films. Katharine Rollwagen addresses the rise of the teenager in Section 10.11, observing that high schools were necessary to the creation of this new phase in life. With the teenager came a panoply of new interests and cultural artifacts, of which the comic book was one. (Quite obviously: no teenager, no Archie Comics.) But comic books in the era of high modernity were also subject to greater regulation, not least because they were thought to incite serious anti-social behaviours, including homicidal impulses. As a cultural artifact that both reflects and allegedly transformed a generation’s values, the humble comic book ought not to be casually dismissed. Modernity consisted of technological, social, and intellectual changes and practices that began in the 19th century and accelerated through the 20th century. Creating systems and products that made sense of new cities and new productive systems was at the heart of modernization. The modern state was, by definition, a more interventionist state which took on more roles in a secular environment. Popular culture — including icons like Superman — can be analyzed to demonstrate the extent to which modern (and high modern) values and obsessions permeate day-to-day life and the imagination. 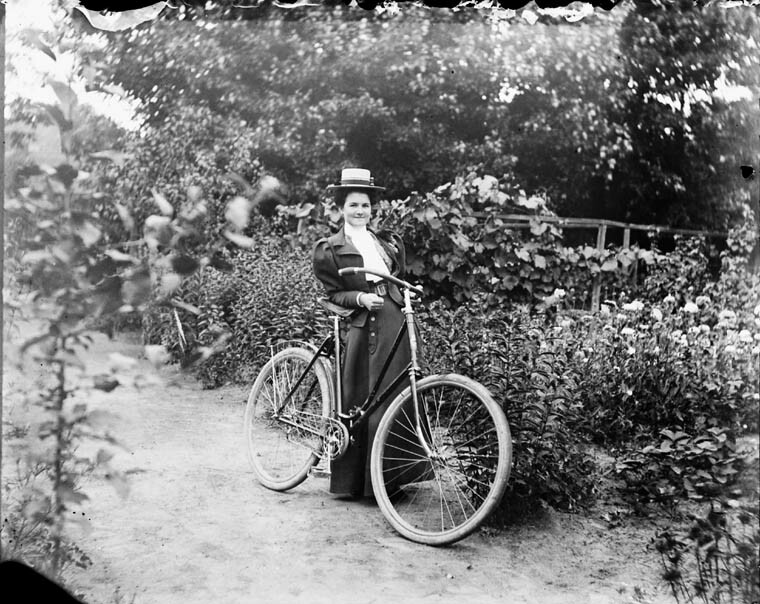 Mabel Williams with bicycle at 54 Main Street, residence of James Ballantyne (Online MIKAN no.3191717) by James Ballantyne / Library and Archives Canada / PA-132274 has nil restrictions on use. 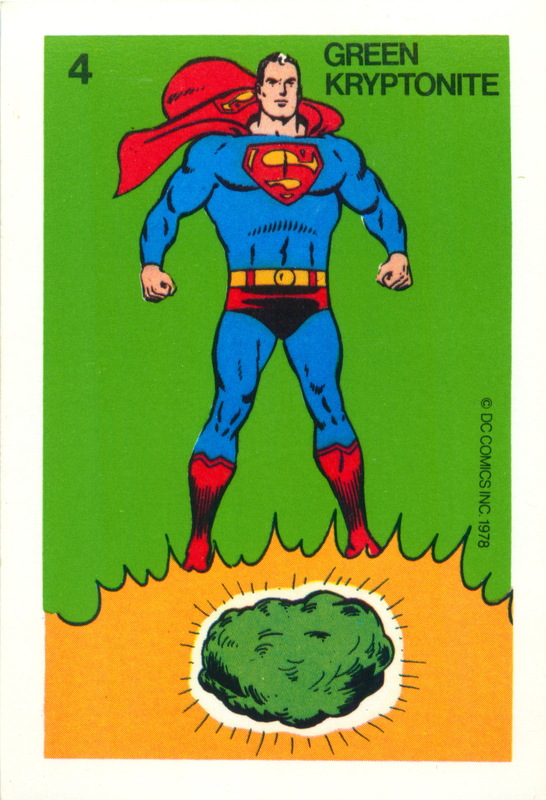 Superman Card Game by Whitman (1978) – Green Kryptonite by Mark Anderson is used under a CC-BY 2.0 license. 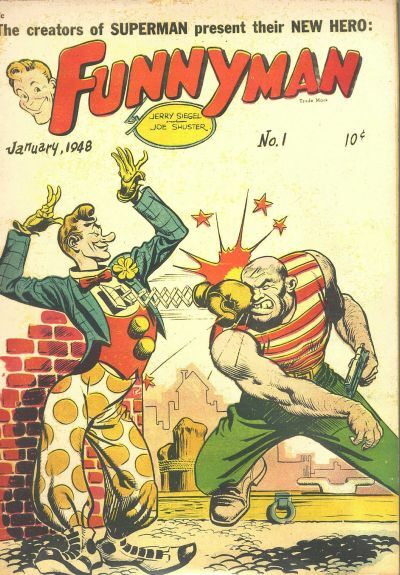 Funnyman1 by Joe Shuster is in the public domain. Mandrake the Magician Exhibit Card by Mark Anderson is used under a CC-BY 2.0 license. 10.2 Defining Modernism by John Douglas Belshaw is licensed under a Creative Commons Attribution 4.0 International License, except where otherwise noted.